A Bobcat is a compact tractor commonly used by homeowners with significant acreage and during smaller scale construction projects. They can be fitted with a variety of attachments to dig holes, hammer through concrete, move dirt and shovel snow. With all of the snow storms hitting our area this winter, people are using Bobcats and other similar machines to clear driveways and plow streets across the Commonwealth. According to a recent news article from the Boston Herald, a 12-year-old Pepperell boy was seriously injured when hit by his family’s Bobcat. Witnesses say victim’s juvenile brother was operating the machine to clear snow after a recent storm. The victim was walking behind the Bobcat when he slipped on an icy path left by its tracks. The young operator did not see his brother had fallen behind him and backed over his brother. Police and emergency personnel responded to the accident, which occurred around 5:00 p.m. EMS workers loaded victim into a medevac helicopter, where he was flown to Massachusetts General Hospital (MGH) for emergency treatment. His condition has not yet been released, but officials are reporting him to have suffered serious personal injury as result of this tragic accident involving industrial equipment. The Massachusetts Department of Public Safety is responsible for investigating any accidents involving industrial equipment, and has commenced an investigation into the situation surrounding this horrific accident. This time of year it is not uncommon for accidents to occur involving heavy machinery being utilized to clear snow. 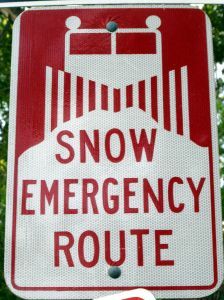 Some accidents involve traditional snow plows and others involve the use of snow clearing machinery such as Bobcats or large snow blowers. If you have been injured as result of an accident involving someone else’s snow removal equipment, you should contact a Boston personal injury attorney as soon as possible. This will allow your attorney’s personal injury investigator to go out on the scene and take photographs and interview witnesses while conditions are the same or substantially similar to those when an accident occurred. It is much more helpful to have pictures which show how high snow banks were at the time of the accident, than photographs taken the following spring or summer when the scene looks nothing like it did the day of your serious accident. While not fatal to your case, defense attorneys will be quick to point out a photograph taken months later may not be relevant to what happened during the winter when you were injured by his or her client’s negligence. It is also helpful to gather the names and contact information of anyone who witnesses an accident. In accidents involving neighbors, there is always a chance an at-fault party will have an opportunity to speak with witnesses and convince them to testify favorable to their defense. If you identify witnesses when the accident occurred, your attorney’s investigator will have an opportunity to get statements from all witnesses soon after the accidents. This will reduce the chance of anyone’s potential testimony being swayed by defendant who is likely their neighbor as well as plaintiff.